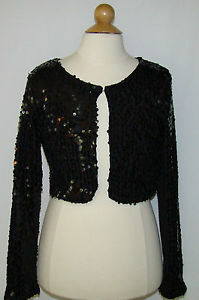 Beautiful black stretchy bolero covered in sparkly sequins. Hook front closure. 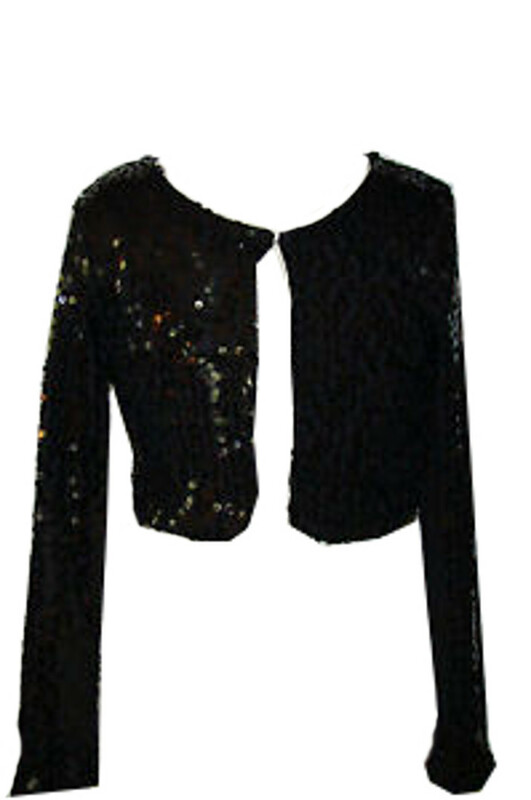 Perfect for those chilly nights.